When we started planning our life of indefinite travel, we looked at how we could keep our expenses down. We wanted to travel for as long as we could, so we knew we had to be realistic, especially with accommodation. No five star hotels for us. Not if we wanted to do this long term. Then a fellow blogger told me how she saves a bundle with her long-term travels by housesitting around the world. Not just in Australia, but in the U.K., the U.S., Mexico, etc.… When I asked her for more information, she happily shared the names of some housesitting services she uses and how she makes housesitting work for her. I dived in to the research. Now we’re travelling full time, we have a number of housesits under our belt. It’s time we share our experience. Housesitting is when one takes care of a house, pets and/or garden while the homeowner is away. In exchange, the house sitting receives free accommodation and utilities for the time of the housesit. What Does a Housesit Look Like? A house sit may simply be looking after a house, where the homeowner is looking for the security of having someone physically in their house. It may be taking care of a B&B. Not only looking after their house, but a few guests here and there. It may be for a twelve-month period, taking care of their dogs, while the owner works overseas. 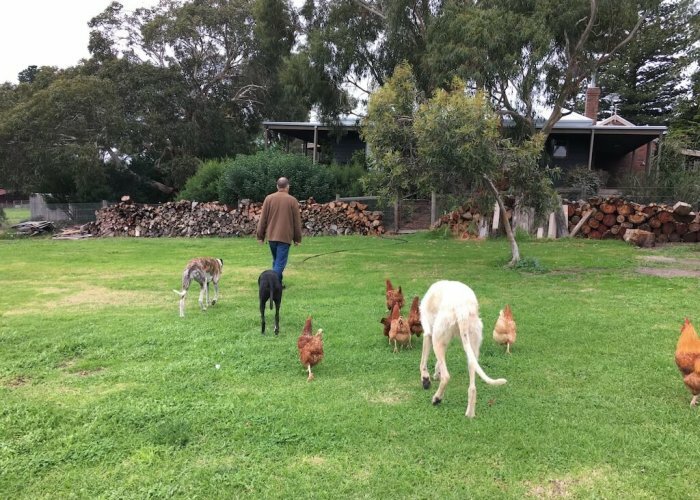 It may be looking after a house, 3 dogs, 10 goats and 20 chickens on a 5-acre farm for 8 weeks. It may be looking after a cat that’s low maintenance who just needs to be let in for meal times. 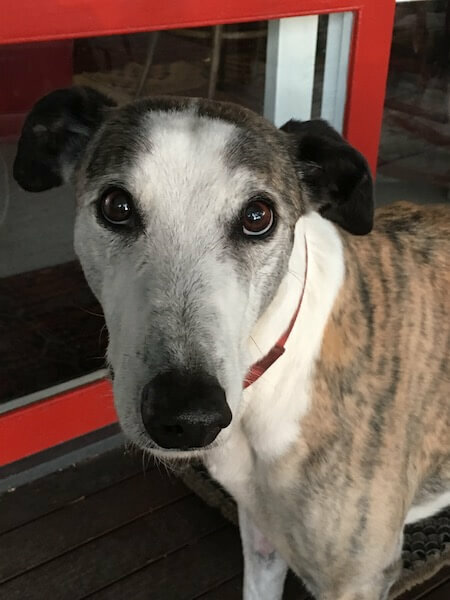 It’s all up to what the house sitter is looking for but there are a LOT of housesitting opportunities available. Rich is a nester. I am not. He is happy to be settled in one place, looking after pets and pottering about. I get itchy feet after four weeks. 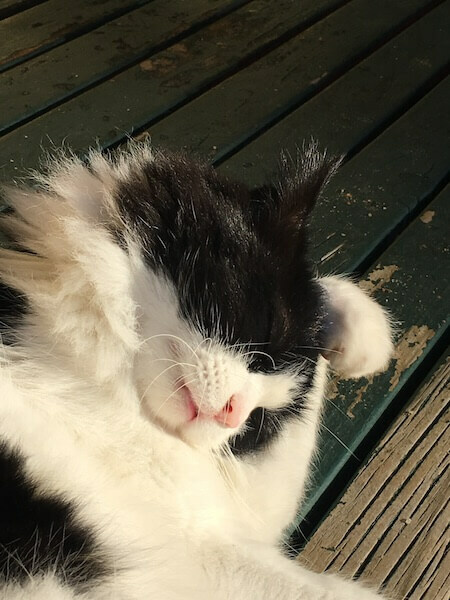 I love being in a place to do some washing, get some serious work done, catch my breath for a while, but once that’s all done, I’m ready to pack up and continue on.Housesitting is a good compromise for us. We average about 4 weeks for our house sits. Some are only a few days. Others a few months. The savings are amazing. During our 10 month Australian road trip, we’ll have spent 5 months of that time housesitting. That is 5 months of not having to pay for accommodation or rent. Not having to pay for utilities such as electricity, gas, water, internet. We originally budgeted $100/day for accommodation. By housesitting, we saved $15,000. We find housesits that fit our itinerary. When we signed up for housesitting, we looked for house sits in certain areas, where we wanted to spend time exploring or for after an intense time on the road. We know of people that find housesits and then make travel arrangements, but that didn’t fit with our plans. 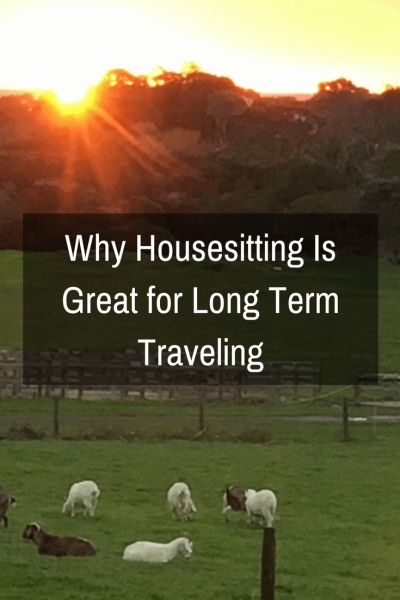 That may change when we go overseas, but for now, it’s fit well into our own plans because there are plenty of housesitting opportunities to pick and choose. We get our animal fix for a while. Growing up, I always had a dog – or three. When I was thirteen, my family moved to the country, so I was constantly surrounded by cows, chickens, dogs, cats … you get the idea.Over the years, I’ve missed having dogs around, but our daughter Natalie was afraid of dogs from an early age. We had cats instead. When we moved back to Australia from the U.S., we didn’t have any animals and it was a weird feeling.We felt like something was missing. Housesitting allows for that animal fix. We have the opportunity to look after dogs, cats, goats, chickens… whatever it is we’ve sign up for. There are days where I love being woken by a lick of a dog. There are days where I love long walks with a dog on a leash beside me. I love collected eggs from chickens or yelling ‘hello goaties’ as I walk past.And there are other days where I’m glad to be on the road, sleeping in, with no responsibilities at all. We get to settle for some time, get some work done, before moving on again. This one kind of ties in with #1. When you’re travelling full time, you ache for some down time. While it sounds glamorous, travelling full time can be wearing. We get road weary after a few weeks and start snapping at each other, dragging ourselves and our bags in and out of the car.Housesitting allows us to be in one place for a while. To get some washing done. To re-sort through our bags, pulling out the winter woollies and find out swimmers again.It also allows us to get some work done. I can get a lot of writing done while Rich is driving, but I don’t want to miss out on anything outside the window either. It’s a balance. And when you need a solid internet connection and some down time to think, housesitting works great for that. Hotels can be noisy. Libraries can be worse with ‘play time’ and can be very distracting. Quiet houses work great to churn out the words. We get to immerse ourselves into communities. Being in one place for more than a few days allows us to get to know the community. By housesitting, we’re often introduced to neighbours, or they will stop and chat when we’re out walking the dogs. We feel a part of something. One of our hopes while travelling is to find a place we really connect with, where we can eventually settle. By housesitting along the way, we can get to know not only areas, but people too and we love that. We know some people who don’t like housesitting because it restricts the travel independence. Others, and more commonly, find housesits and arrange their itinerary around the housesit. We’re somewhere in between. We use Airbnbs or camping between housesits which provides a little flexibility but we also find housesits that fit into OUR itinerary first. Like everything, there are pros and cons. The exchange for services range from the simple to the complex – but the complexity is up to the housesitter. You can find housesits that work with your itinerary. There are a LOT of opportunities out there. Savings when travelling long term are worth it. For our 5 weeks in Western Australia, we paid for accommodation for a week. 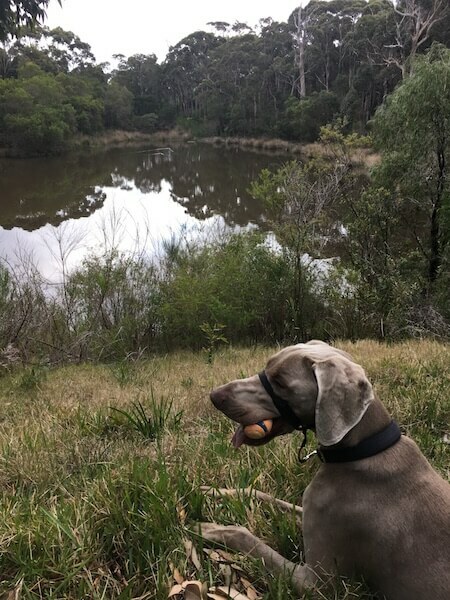 The rest was housesitting in the southwest and in the Perth area. You get to meet some amazing people along the way. Not only the neighbours you meet, but you can create some lasting friendships with your homeowners. You fall in love with animals everywhere. Once you’ve committed to a housesit, it may feel restrictive at first, knowing you have to be somewhere by a certain time/date. You can feel as if you’ve lost a little of the flexibility of your travels. It’s really hard to leave when you get attached to the animals. You leave a piece of your heart behind. There are many housesitting services available. The key is finding reputable ones. Here are the ones we use and like for Australia. Full disclosure: We have been sponsored for a year with Mindahome and I will tell you that we’ve had the most success with them. An international service that comes recommended by other travellers, but not endorsed by us at this time is Normador. Not doubt we’ll be using them when travelling internationally. 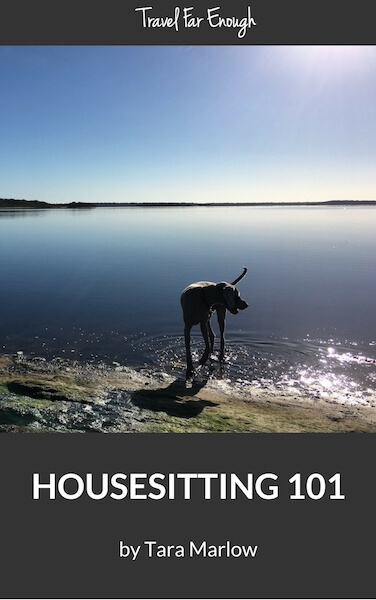 Learn how to become a house-sitter with our Housesitting 101 eBook! It is priced at $AU 9.99 and will save you thousands on your travels. BONUS: If you join the Travel Far Enough Community, we will offer you a 50% discount on our Housesitting 101 eBook*. The coupon code will be in your welcome email. For current subscribers, this limited time offer* is available though the September 1st Newsletter. This is a LIMITED TIME OFFER. *Offer ends September 30th, 2017.